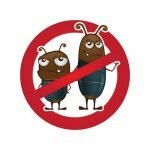 What is grub control for lawns? It’s a basic step in keeping your lawn free of beetles and your grass lush and green. Unfortunately, too many homeowners don’t take this simple step in lawn care and wind up battling spotty, sparse grass for ages. Prevent a harmful cycle of beetle and grub damage by getting started right away. Grub control stops lawn damage and cuts down on summer bugs. The white grubs you find in the grass aren’t just making their way through your yard. They’re long-term visitors, and if you’re not careful, they’ll eat you out of house and home beginning with your lawn. First, they eat the roots of your grass, impacting your lawn’s overall health. The color, density and hardiness of your grass is immediately effected. The longer this damage is allowed to go on, the more your lawn struggles to stay healthy under the harsh Georgia elements. The larger they get, the closer they get to the surface, until they molt into full-blown bugs and beetles, which pose their own nuisances. Start grub treatments in fall for the best protection. Grubs should be treated for first in the fall when they’re small. June bugs and other summer beetles that grow up in your yard will lay their own eggs there. They begin hatching by fall. 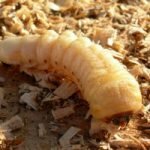 At this size, grubs will be the most vulnerable, so treatments performed at this stage provide the biggest bang for the buck. Caught before overwintering, you’ll also have a chance to prevent the majority of damage to your grass. By fall’s end, grubs go deeper under the soil until winter temperatures subside. During this time, they feed on your lawn’s deepest roots and have the potential to seriously hurt your grass. Spring treatments address robust grubs before they molt. 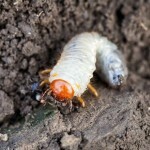 By spring, grubs have fed and progressed through several stages of development. They emerge from deep in the soil to feast on new spring grass and trade in their worm-like skins for a pair of wings. You have several weeks before the cycle begins all over again; so, if you’ve missed treatments up to this point, there’s still time to avoid a late summer beetle invasion. A quick inspection of your lawn helps you determine if you need professional help. As with any lawn care treatment, there are consumer options available at the home center or garden store. The question is whether you’d spend less going with a professional. For serious grub activity, skip straight to the pros. This is measured by way of on-site inspection. If you find fewer than five in a square foot of your yard, you probably can forgo any treatments. However, 10 or more is a sign of a serious infestation that’s likely already damaged your lawn. If you are wondering what is grub control for lawns, call the pros at Think Green at (678) 648-2556 to schedule service today.